RRDC, located in Chennai, conducts tests in cement and concrete and is responsible for finding the suitability of waste/reject material used in the cement industry and contributing substantially for sustainable development. Apart from routine tests, RRDC is involved in finding solutions to concrete challenges faced by various customers and projects. 1. 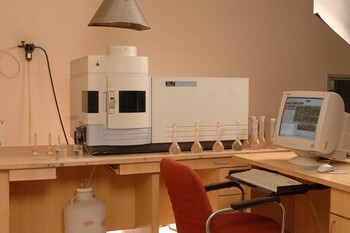 Inductively coupled Plasma Spectrometer. 2. Rapid chemical analysis of about seventy five elements in a short time. 3. Bomb Calorimeter for estimating calorific value of various fuels. 4. High temperature Furnace to study the burnability of various raw mixes. 5. Photometer to study the phosphate content in all raw materials. 6. 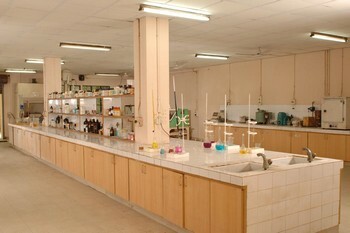 Flame photometer to study the alkali content in all raw materials. 1. X-Ray Diffractometer for understanding the mineralogy of materials. 2. Differential Thermal Analyser & Thermo Gravimetric Analyser gives the thermal changes of materials under heating. 3. Surface Area for analyzing materials having nature. 4. Mercury Intrusion Porosimeter(MIP) which helps in analyzing the pore size distribution & porosity of blended cements & concrete. 5. Particle Size Analyzer for analyzing particle size distribution of fine materials. 6. 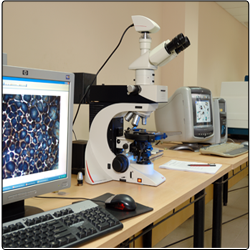 Optical Microscope for studying the phase formation of clinker and limestone. 7. Rapid determination of Chloride Permeability for studying the permeability of concrete. 8. Various instruments for testing aggregates like Crushing Value Apparatus, Length gauge, thickness gauge, density bucket etc. 9. Non destructive testing instruments for concrete like Ultrasonic Instrument, Concrete test hammer, rebar locator Profometer, Water Penetration apparatus etc.